Gain a deep understanding of your product's thermal behavior with some of the industry's most capable thermal analysis solutions. 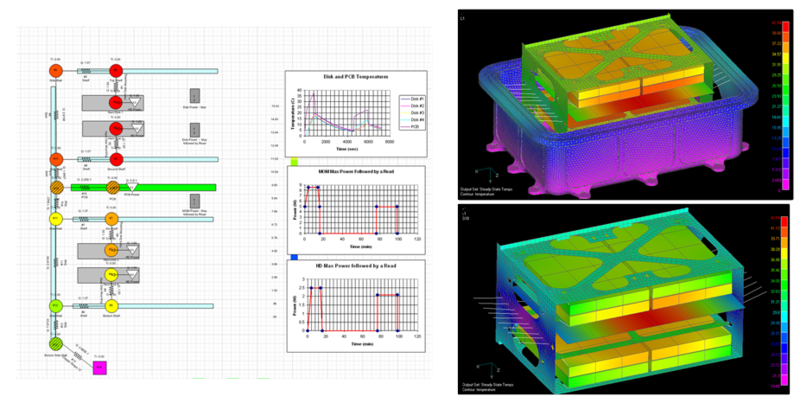 MSC’s thermal simulation solutions enable you to model thermal responses including all the modes of heat transfer, namely conduction, convection and radiation. Radiation view factors, critical for radiated energy flow calculations can be computed internally or imported from third party vendors providing options to our users. Additionally, both material properties and boundary conditions could be varied based on local temperatures, and can be modeled accurately and elegantly within MSC’s products. The objective of a thermal study is often to understand the response and performance of a structure. Based on the modeling needs, chained or coupled analysis can be performed by engineers to study temperature variations and effects on structural behavior, both in terms of the stress response and failure. The multi-physics capabilities that involve thermal response can be extended further to include Joule heating and electromagnetic effects for a better representation of physical behavior. Aerospace and Defense: Aircraft anti-icing. jet engines, nozzles, avionics, satellites, and re-entry vehicles, missiles and rocket motors. Automotive: Exhaust, drivetrain, seals, welding, backlights, disc brakes. Consumer Products and Packaging: Bottle filling, Thermal cycling effects on bottles/cans, home appliances, ovens, solar water heaters, solar heating of buildings. Electronics: solder, pcb, silicon wafers, exhaust systems. Energy: Solar power plants, pressure vessels, thermal electric coolers, heat pipes. Use MSC thermal solutions to model heat transfer problems that include conduction, convection, and radiation. Since convection is affected by the rate of fluid flow near a solid surface, the convection film coefficients depend on flow velocity. When parts are close, but not in full contact, heat transfer between them is highly nonlinear and should account for the gap between them. Another aspect that affects heat transfer is the dependence of properties and boundary conditions on the temperature. For an accurate solution, all these factors need to be accounted for. 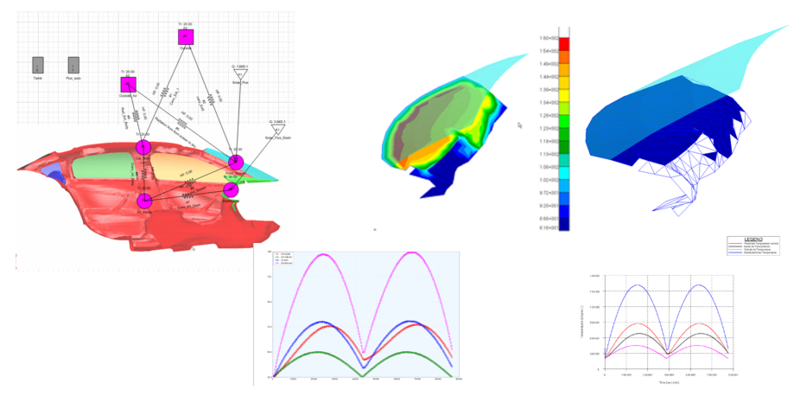 Whether you are looking for a steady state solution or a complete transient solution to better understand rate of thermal flow through various regions and parts of your model, MSC’s solutions enable you to include all the necessary physics for accurate simulation of your thermal systems. The process of radiation is highly nonlinear. In addition to being dependent on temperature differential, radiation energy transmitted also depends on the viewing angle of a face with respect to thermal source. View factor calculations can be accomplished with efficient algorithms like Gaussian integration and the hemi-cube method, both available within MSC’s products and can provided as input for thermal analysis. With thermal contact capabilities you can model the heat flow between components that are touching each other. The heat flux can be controlled by contact heat transfer coefficients, properties of the contacting material pair. 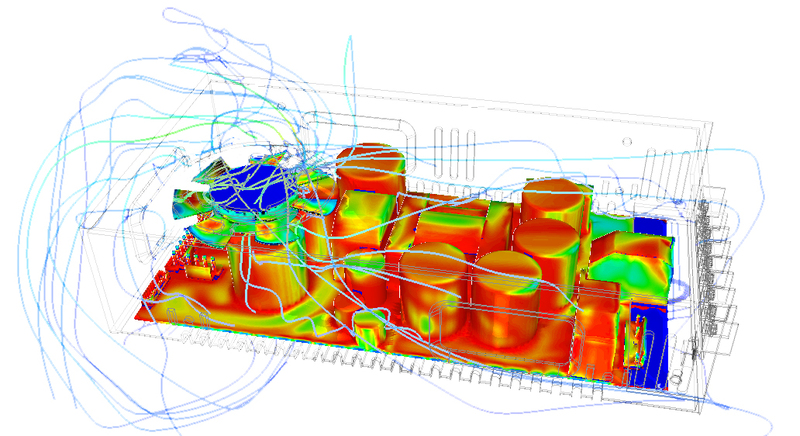 MSC offers two key technologies for thermal analysis, namely, an FEA based solution and an RC network based solution. While FEA solution is used in most industries, RC network technology is also popular especially for aerospace, automotive, and electronic applications. The RC Network in particular may provide resource advantages for large models. By integrating two different thermal solution technologies MSC offers a common solution for all the industries and provides a uniform approach to include thermal effects in a structural run.